After some background information on our star, the sun, the theory of radiation is explained briefly. One alternative derivation of the Stefan–Boltzmann law is presented here and obtained by means of dimensional analysis. The concept of solid angle, its derivation, and its implications on the energy balances is done here with the purpose of introducing the meaning of photosynthetic active radiation. A microorganism which is utilizing energy from the sun or a common feedstock can be considered as an energy-converting machine. For this reason, the classical concepts of thermodynamics can be applied for these systems. 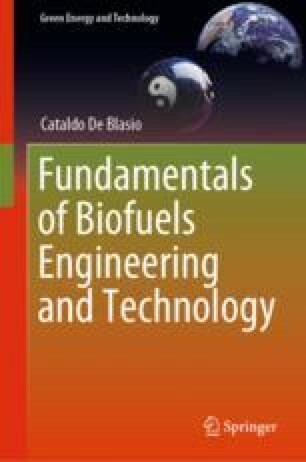 The chapter continues with a part related to biomass composition, properties, and the useful concept of radiation use efficiency. Examples and data are reported abundantly from the literature. Il sole é la lampadina del mondo. The sun is the light bulb on the world. Daniel Lucas Ettore De Blasio, 10 October 2018. Odenwald, S. (2018). IMAGE Education Center. Imager for magnetopause to aurora global exploration. US: NASA National Aeronautics and Space Administration. Retrieved from https://image.gsfc.nasa.gov/poetry/ask/a11354.html.